A magical book of verse to cast a spell on you. Get ready to visit an enchanted world! 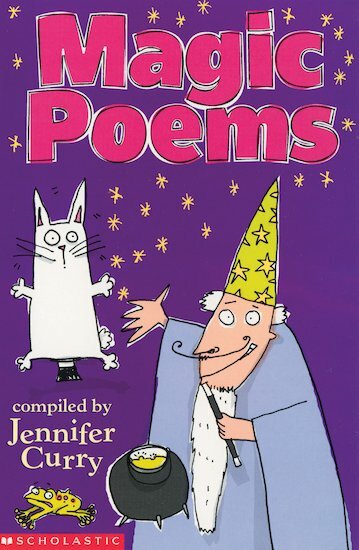 You’ll meet unicorns and dragons, giants and heroes, witches and wizards, princes and princesses in these bewitching rhymes from top children’s poets. Take a broomstick ride with a witch. Meet Merlin the famous wizard. Pick up the book and let the magic begin! Really good poems and funny. You have to love unicorns! !